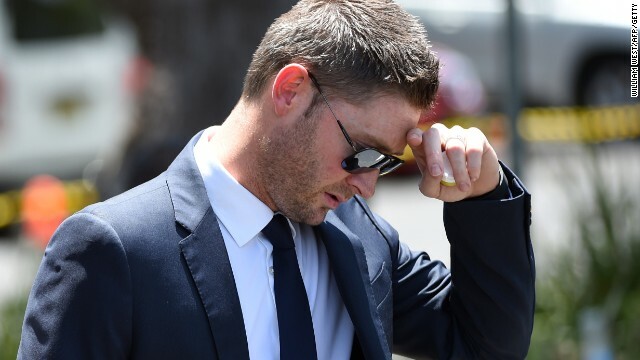 He said his friend had "left a mark on our game that needs no embellishment"
(CNN) -- Australian cricket captain Michael Clarke has delivered an emotional tribute to friend and fellow cricketer Phillip Hughes at his funeral, telling mourners he felt his spirit with him. 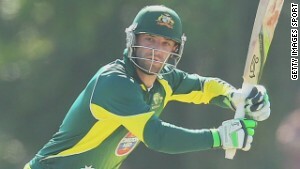 Breaking down at times, Clarke spoke of visiting the pitch at the Sydney Cricket Ground where Hughes fatally injured when hit by a "bouncer" -- a short-pitched, aggressive delivery that bounces up towards the batsman's torso -- while batting for the South Australia side against New South Wales. 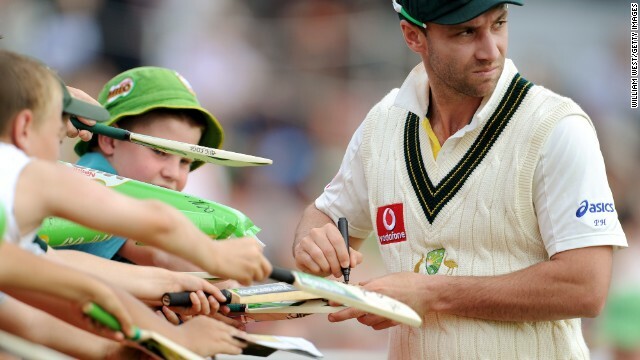 "I walked in the middle of the SCG on Thursday night, those same blades of grass beneath my feet where he and I and so many of his mates here today had built partnerships, taken chances, and lived out the dreams we painted in our heads as boys," said Clarke. "The same stands where the crowds rose to their feet to cheer him on, and that same fence he sent the ball to time and time again, and it's now forever the place where he fell." He continued: "I stood there at the wicket, I kneeled down and touched the grass. I swear he was with me, picking me up off my feet to check if I was okay, telling me we just needed to dig in and get through to tea." 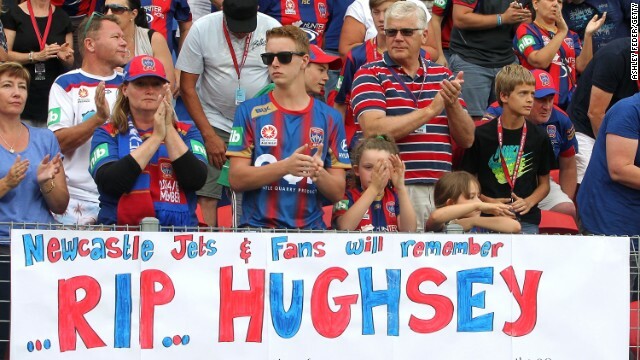 In a tribute referencing the "spirit of cricket" and the outpouring of grief from the sport's fans around the world in the wake of Hughes' death, he said his friend had "left a mark on our game that needs no embellishment." "I don't know about you, but I keep looking for him. 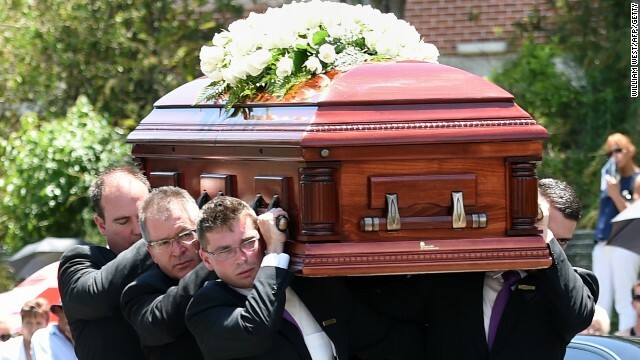 I know it's crazy, but I expect any minute to take a call from him, or to see his face pop around the corner," said Clarke, who also acted as a pallbearer. "Is this what we call the spirit? If so, then his spirit is still with me, and I hope it never leaves." 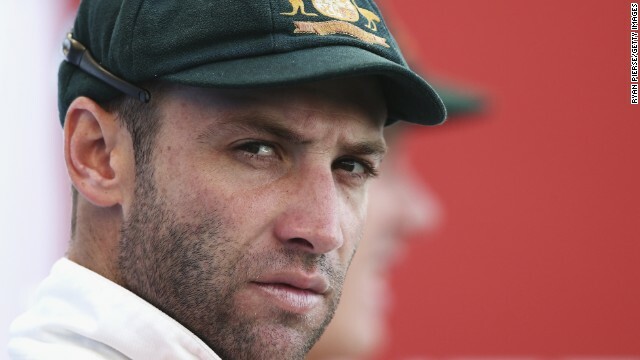 Hughes' funeral service took place Wednesday in a packed school hall in his home town of Macksville, New South Wales -- a small town on Australia's eastern coast, where he was raised on a banana and beef farm. Other mourners gathered to watch from the school fields outside, while Australian television broadcast the funeral live. 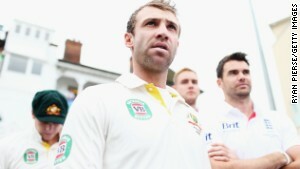 It was also screened on big screens at Australia's major cricket grounds. Delivering a eulogy on behalf of the family, his cousin, Nino Ramunno, remembered the cricketer as "a young kid from the country who dared to dream big." He recalled how his cousin was introduced to cricket through backyard cricket games with his brother and neighbors in the country. "There was no quarter either asked or given in those backyard test matches," said Ramunno. Although initially reluctant to take part, Hughes took to the sport with a passion, and never looked back. 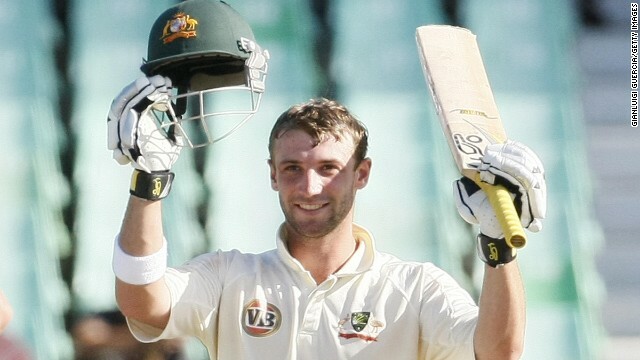 The left-handed batsman represented Australia in 26 Tests, the highest standard of the game, after making his debut in 2009 at the age of 20. 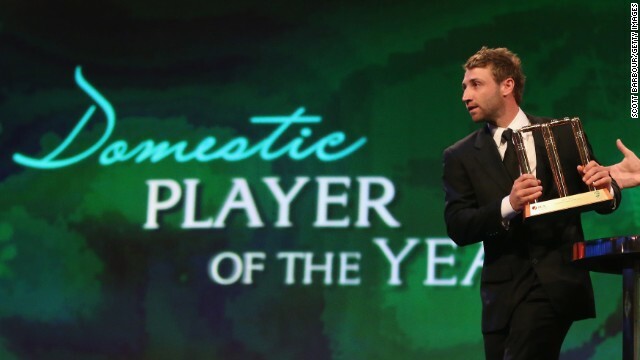 Australian cricket writer Gideon Haigh told CNN that although Hughes, who was named Australia's domestic cricket player of the year in 2013, had been dropped from the national side on occasion, "no one seemed to doubt that he was a character that we would be watching for the next 10-15 years." 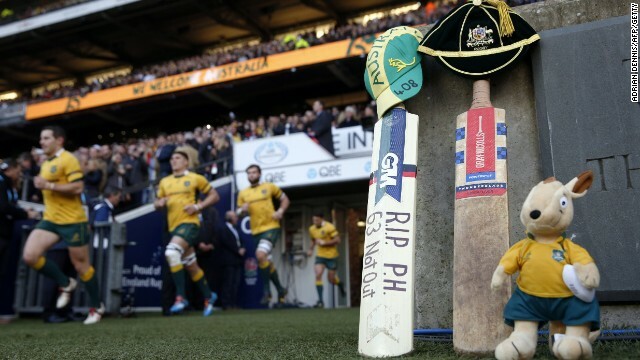 "No one had a greater appetite for the game," said Haigh. "He had that drive, he had that enthusiasm." Hughes' cousin Ramunno spoke of his response to those setbacks in his career. 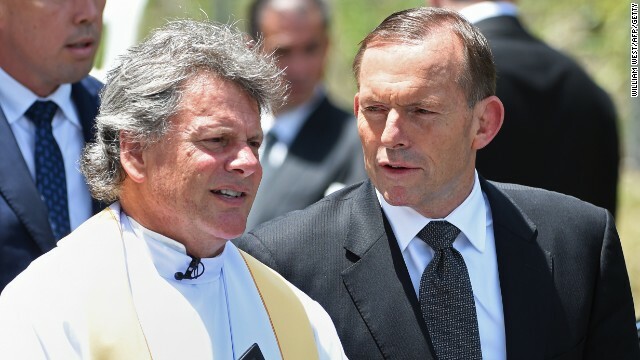 "I never, ever once heard him complain about being dropped from the Australian team," he told mourners. "He believed he would come back bigger and better, and continuing to pile on runs." 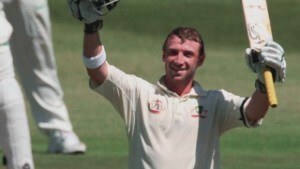 Hughes' friend, Corey Ireland, recalled the cricketer's love of Angus cattle -- and a deal he made with himself to add to his herd every time he scored a century, an innings of 100 runs or more. "His herd grew very quickly," said Ireland. 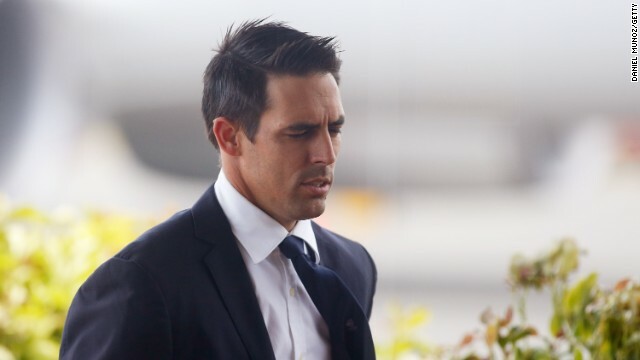 A host of past and present Australian and other international cricketers attended the funeral -- as did Australian Prime Minister Tony Abbott. 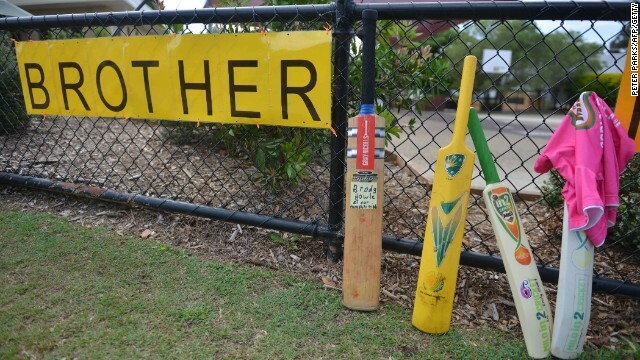 The streets of Macksville were decorated with cricket bats, following a social media-led tribute using the hashtag #putoutyourbats. 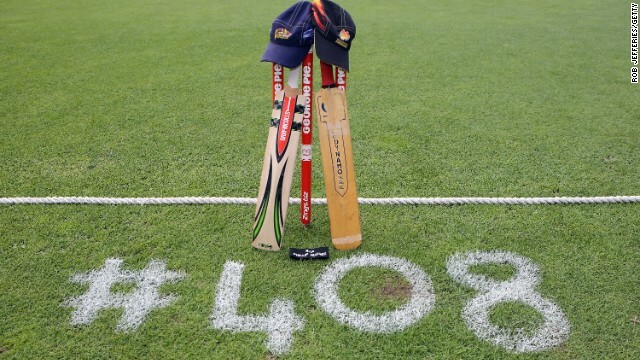 There were also numerous references to the numbers "408" -- Hughes was the 408th Australian Test cricketer -- and "63 not out," the score Hughes was on when injured. 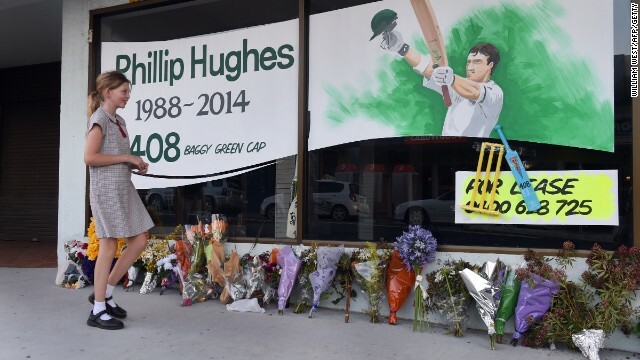 Haigh told CNN that cricket fans and the wider Australian public were "all making it up as we go along" in terms of mourning Hughes, he said. "People want to make some form of communal gesture," he said. "It's unprecedented in any era for a player of his profile to have been cut down in his prime in this way."